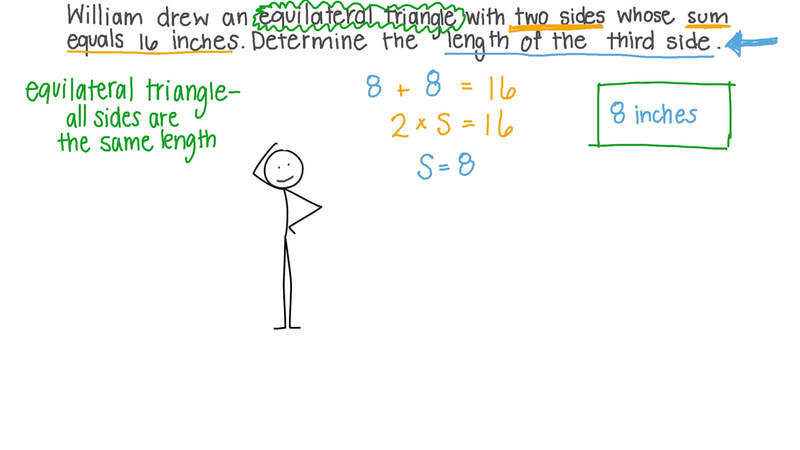 In this lesson, we will learn how to classify a triangle based on angles' shapes and equal sides. Which of the following describes the given shape? What do these shapes have in common? Nabil drew an equilateral triangle with two sides whose sum equals 16 inches. Determine the length of the third side. Is it possible to draw a triangle with two obtuse angles? Complete the following: An equilateral triangle is a triangle whose sides are . Determine whether this statement is true or false: Some right triangles are isosceles. Determine whether this statement is true or false: Some obtuse triangles are isosceles. Determine whether this statement is true or false: The angles of the equilateral triangle are acute. Determine whether this statement is true or false: The angles of the isosceles triangle are always acute. Is an equilateral triangle an isosceles triangle? 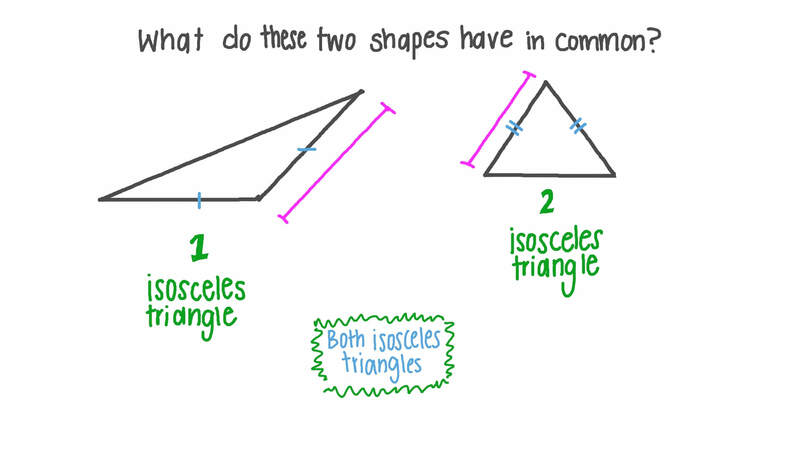 Could an isosceles triangle also be an equilateral triangle? Describe the triangle using an adjective from the list acute, right, obtuse and the list equilateral, isosceles, scalene. 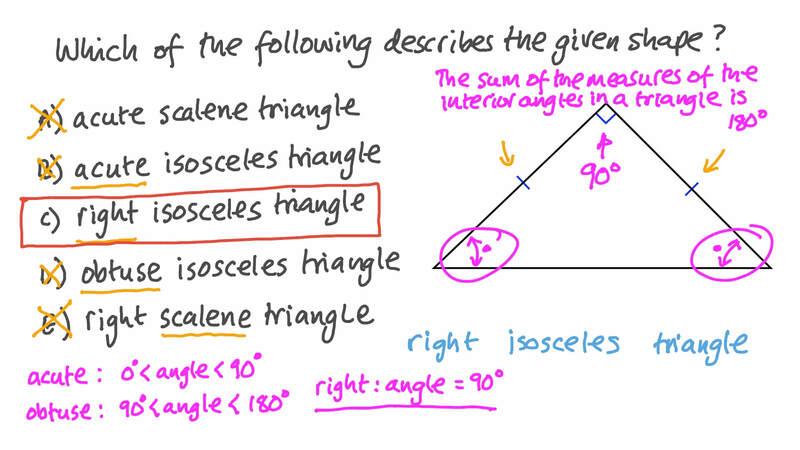 Determine whether this statement is true or false: All acute triangles are isosceles. Complete the following: Any triangle has at least acute angles.